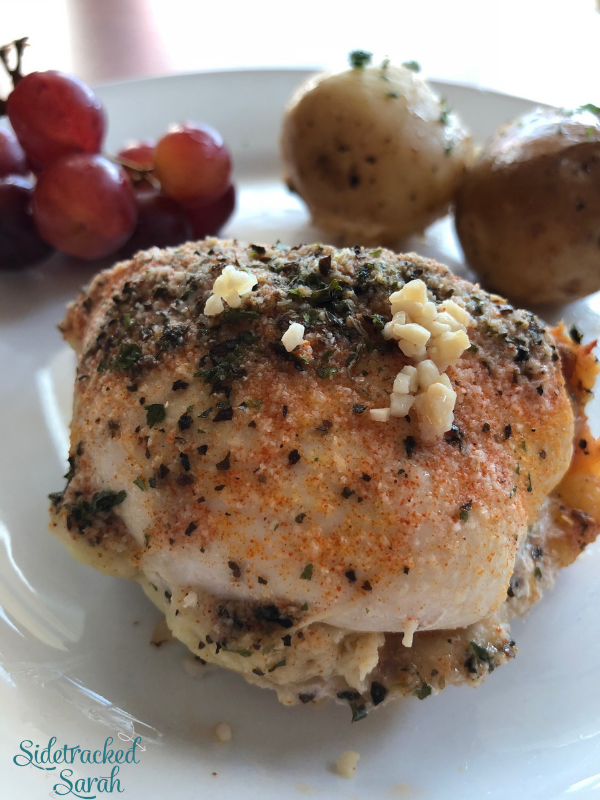 Slow Cooker Garlic Butter Chicken & Potatoes Is a Delicious Crowd-Pleasing Meal that Comes Together Easily in Your Slow Cooker! 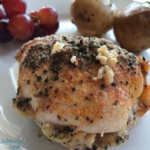 We love Slow Cooker Chicken recipes! Some of our favorites include Slow Cooker Mozzarella Chicken & Pasta and Slow Cooker Chicken, Potatoes, and Carrots. This recipe is definitely one of our favorites, especially this time of year. Slow Cooker Garlic Butter Chicken & Potatoes has it all! Tender, juicy chicken, a delicious buttery sauce, and creamy potatoes. Just add a quick salad and you’ve got a dinner that everyone will love! CAN I USE A DIFFERENT CUT OF CHICKEN? 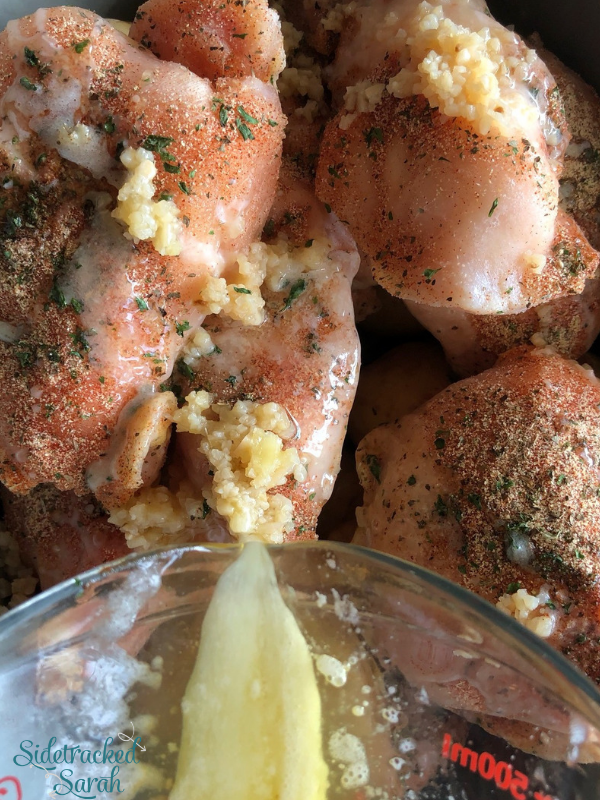 Because the butter will keep the chicken moist, you can use thighs, breast, or tenders – whatever you have on hand (or whatever is on sale). Feel free to use whichever cut your family enjoys the most! 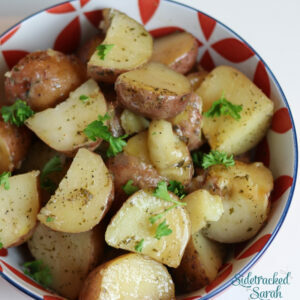 CAN I ADD OTHER VEGETABLES TO SLOW COOKER GARLIC BUTTER CHICKEN & POTATOES? We adore potatoes with this dish, but if you would like to mix things up a little, you can add other root vegetables to this recipe. 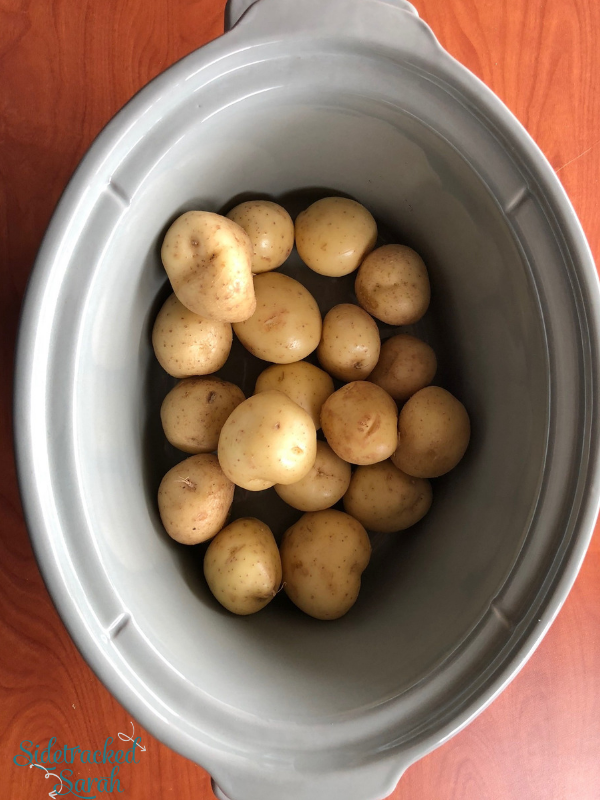 (I would not recommend adding more tender vegetables, as they will cook at different rates than the potatoes and chicken.) Carrots or parsnips would work well! Just make sure that you keep the overall quantity the same and that the vegetables are all cut approximately the same size. This will ensure that everything cooks evenly. WILL SLOW COOKER GARLIC BUTTER CHICKEN & POTATOES FREEZE WELL? The chicken and butter sauce freeze exceptionally well! I would not recommend freezing the potatoes, as they tend to discolor and gain an odd texture. The meat and sauce will freeze very easily, though! I hope you enjoy this dish as much as we do! Sprinkle spices on both sides of chicken breast. Pour butter over the top. Spoon juice over the cooked chicken, to serve. Recently we went to a ranch once owned by Frank Phillips of Phillips 66 located southwest of Bartlesville, OK. It was a field trip with a local Cooperative that we belong to. The ranch was filled with Native American history as well at local Oklahoma oil boom history. 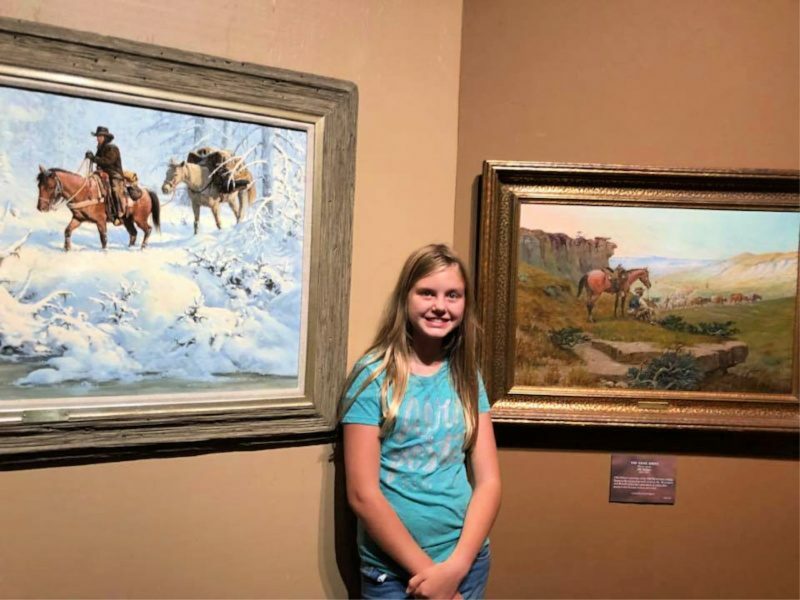 It was a great trip and a excellent way to bring history alive for the kids!